Hiltons, VA -- As long as bluegrass music has echoed through the hills and valleys of the Appalachian region, musicians of all ages have gathered together to play and preserve their favorite style of music. This southwestern Virginia group showcases the traditional songs of yesterday, along with the driving sound of a modern style. The group began doing back porch picking and performing at local events seven years ago. Town Branch Bluegrass is now one of the region’s hottest new bands. Hiltons, VA -- Saturday, December 22nd, 2012, at 7:30 p.m. the Carter Family Fold in Hiltons, Virginia, will present a special Christmas program. In lieu of admission, please bring a donation of canned goods for the local food bank. Those not bringing a canned goods donation are asked to make a donation of $8 for adults with all proceeds going to the Food Bank. Anyone under 12 will be admitted free of charge. Those attending are asked to bring finger foods, two-liter drinks, and cups, plates, or napkins. 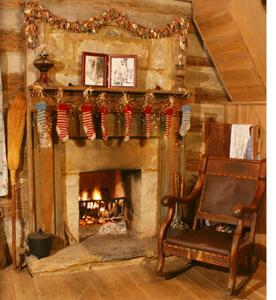 Christmas music will be performed as refreshments are served. Afterwards, we’ll have music by the Town Branch Bluegrass Band and Lonesome Will Mullins & the Virginia Playboys. Musicians donate their time for this special Christmas show. Hiltons, VA -- As long as bluegrass music has echoed through the hills and valleys of the Appalachian region, musicians of all ages have gathered together to play and preserve their favorite style of music. This southwestern Virginia group showcases the traditional songs of yesterday, along with the driving sound of a modern style. The group began doing back porch picking and performing at local events seven years ago. 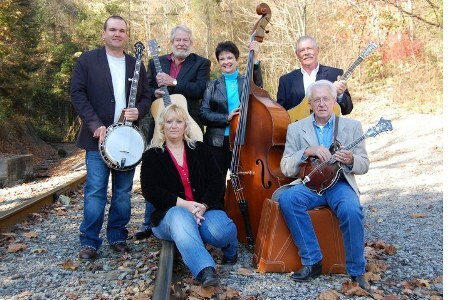 Town Branch Bluegrass is now one of the region's hottest new bands.